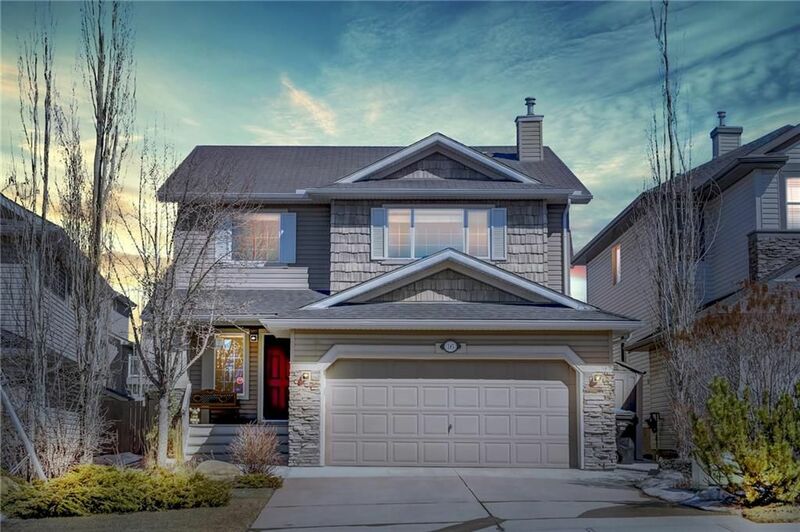 Welcome to this immaculately maintained and extensively upgraded former SHOW HOME in the lovely community of Crestmont. Some of the upgrades include A/C, Kenmore Elite Stainless Steel Appliances, new LG Washer / Dryer with Pedestal, Built-in Ceiling Speakers, and Automated Lighting. Upon entry, you’re greeted by a stunning open-to-above foyer, FRONT OFFICE, and beautiful hardwood floors that have been kept in pristine condition. The Gourmet Kitchen features GRANITE Countertops, Maple Cabinets with SOFT CLOSE Drawers, and a Massive Walk-Through Pantry; you’ll also experience the spacious living room with fireplace. Heading upstairs, you’ll find a Bonus Room with Mountain Views, 2 bedrooms and a Master with 5-pc En-suite. Downstairs is a fully developed, permitted, basement with another fireplace, full bathroom, and den / office. The upgraded Mechanical Room features TANKLESS Hot Water and Industry Leading Wireless Router System.